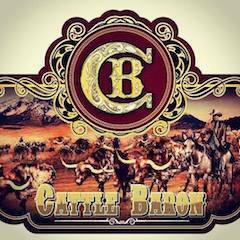 Note from the Editor: Back in November 2013, we introduced a new feature on Cigar Coop that will provide assessments of some house exclusive cigars from some of the great retailers nationwide. 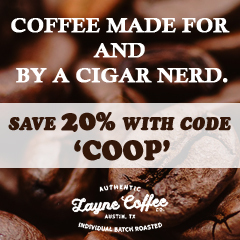 We’ve found some house cigars to offer high quality cigar experiences, and from time to time we will highlight these on Cigar Coop. 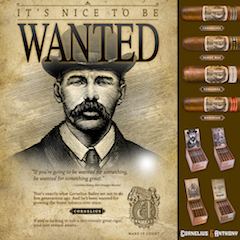 Today we take a look at “The Kind” from Nice Ash Cigars. 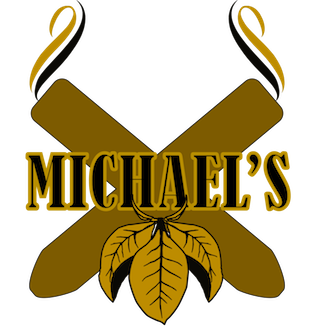 Nice Ash Cigars is a retailer based in Depaw, New York located in Erie County (the western part of the state). 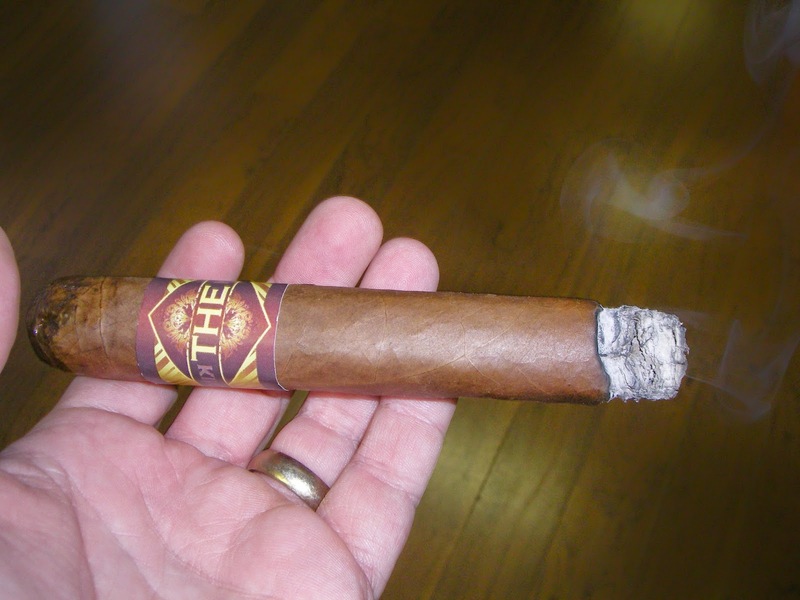 The Kind is a cigar that was the project of Rob Roth, the “Chief Ash” of Nice Ash Cigars.. 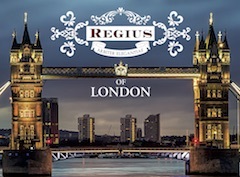 It has started out as a house cigar that is available for online ordering. 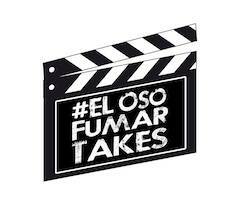 We have been told the company is open to taking this cigar for a national distribution at some point. 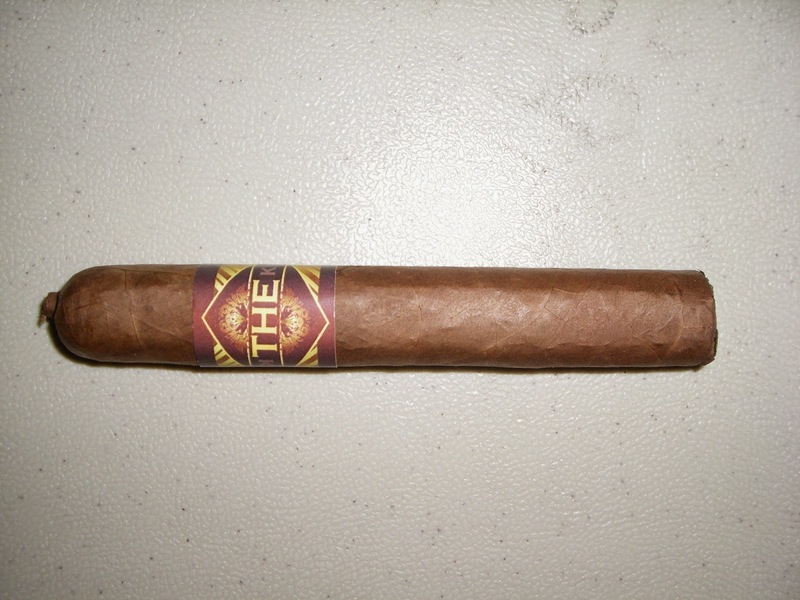 The Kind is described as a micro-batch cigar that currently has limited distribution. After touring Nicaragua and exploring a wide spectrum of blend possibilities, we discovered the ultimate kind of cigar we could not find anywhere on the market; the perfect combination of strength and flavor was one we had to claim as our own and reserve only for our customers. 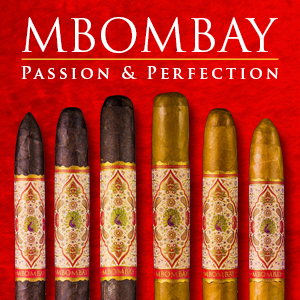 Priced well below what any other company would charge for a cigar consisting of the rich vintage tobaccos used, you’ll be smoking a luxury cigar without a luxury price tag. The Kind is available in five sizes. For this cigar experience, I smoked the toro-sized vitola. 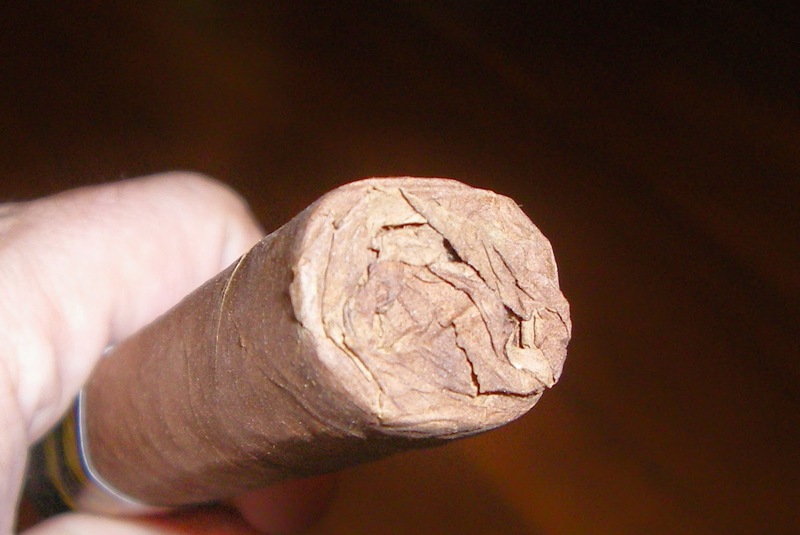 The Jalapa Corojo wrapper has a nice caramel brown color. There is some oil on the surface of the wrapper. The Kind is a firm, square press cigar and the samples smoked contained no soft spots. The cigar also features a pig-tail cap and a closed foot. There are a few visible wrapper seams and no significant visible veins. The band has a maroon and gold color scheme. It features a maroon and gold diamond shaped design on the front. The word “THE” is in a large gold font. To the right is the text “KIND” in a light maroon font on a maroon stripe. On the left side is another maroon stripe with a mirror-reflection effect for the text “KIND”. Prior to lighting up The Kind, I opted to use a straight cut to remove the cap – as opposed to pulling off the pig-tail. Once the cap was removed, I moved on to the pre-light draw experience. The dry draw yielded a definite natural tobacco taste. There was a nice floral spice I picked up as well. Overall, I considered the pre-light draw to the Kind to be very good. At this point, I was ready to light up this cigar and see what the smoking phase would have in store. The start to The Kind had a mix of nut and floral spice. The floral spice morphed into a red pepper. 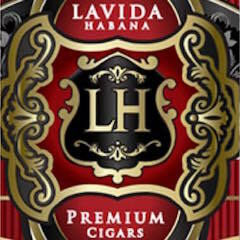 The nut flavors remained in the forefront and were joined by a natural tobacco flavor that gave the cigar some sweetness. Meanwhile the red pepper moved into the background. The retro-hale took a bit of time to get going, but eventually I was picking up the red pepper through the nasal passages by the latter part of the first third. Meanwhile the nut flavors remained in the forefront. The natural tobacco notes picked up a little of a toasted marshmallow sweetness that I had read about on the company’s web-page. The red pepper was close behind but still a secondary flavor. I also detected a slight acidic note from time to time, but nothing very significant. The second third saw the natural tobacco sweetness take over. The nut flavors now were a secondary flavor. During this stage of the cigar experience, the red pepper diminished. The last third saw the red pepper spice return to the forefront – joining the natural tobacco flavors. The nut flavors had now diminished somewhat. This is the way the flavor profile held until the end. The resulting nub was firm to the touch and cool in temperature. Overall I found The Kind to score nicely in terms of the attributes of burn and draw. The burn line for the most part stayed relatively straight. There was a slight meandering, but nothing that really was overly burdensome – and nothing that required a higher number of touch-ups. The resulting ash was a charcoal gray with some darker streaks. The burn rate and burn temperature were both ideal. I found the draw to The Kind to not be too tight and not too loose. 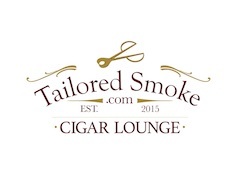 Overall, this was low maintenance cigar to puff on – making for an enjoyable smoke. There was also a decent amount of smoke produced by this cigar. From a strength perspective, I found The Kind to deliver what I consider to be an ideal amount of strength. I assessed this cigar as being on the upper end of medium strength – just falling short of medium to full strength. The flavors had some nice depth – and also provided some nice weight on the pallet. I assessed The Kind to be medium to full-bodied. In terms of strength versus body, I found edge to go to body. One reason why I decided to launch a series on House Cigars is that there are some pretty good ones that are out there. The Kind was a really good cigar. This is a cigar that performed as well as it looks (and it’s a nice looking cigar). I found this to be a flavorful box-press. The nutty flavors and sweetness that this flavor profile delivers really shine. This was also a nicely constructed cigar. 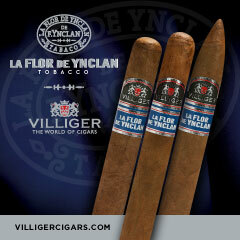 This is a cigar I would recommend to an experienced cigar enthusiast. 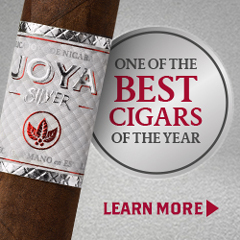 As for the novice, this is one of those cigars that is perfect for one looking to graduate to a cigar with a little more strength and a little more body. As for myself, this is a cigar I would definitely smoke again – and its worth a box split. 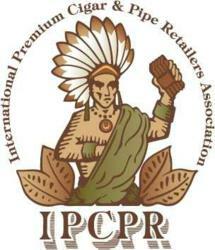 * The cigars for this assessment were given to Cigar Coop by Nice Ash Cigars. Cigar Coop is appreciative for the sample, but this does not influence this assessment.